Are you a Snapchat user? Have you ever used a Snapchat generator? It is needless to mention that both of these aspects are exceptionally exciting. With this article, we intend to explain a bit about both of these aspects. Snapchat is a widely popular app particularly among the youngsters these days. Snapchat is basically designed for mobile devices, and it allows users to share photos with other Snapchat users. This functionality is pretty much similar to a social media app. However, the images sent via Snapchat are different compared to other social media apps. That means Snapchat images come with an expiry time. For instance, each image you share through Snapchat gets deleted automatically after a certain time (ranging from 1-10 seconds). Snapchat images disappear after a predefined time while other social media platforms keep images forever. Know more about the longest Snapchat streak. Although this concept sounds useless and unusual, it has become exceptionally popular among youngsters these days. Just like with any other social media app, the users are required to download it. Android users and iPhone users can download Snapchat from Play Store and App Store respectively. Then, the user must register and set a password. The app will then go through the contact list and load the contacts into the app. It also lets you add friends who are not in the default contact list. After logging in to Snapchat, you can capture any photo, do some basic editing and even add a caption. Also, the user can add a doodle to the image. Then, the user can send it to any friend in the list and set a timer as well. The timer allows you to select a time from 1 to 10 seconds. As soon as the photo is sent in the form of a message, the recipient can see it. When the recipient views the message from his or her end, the timer starts to countdown. At the end of the predefined time, the photo will destruct automatically. The recipient can then reply to the sender either with a photo or a text message. What does a Snapchat generator do? Snapchat generator tools are becoming popular simultaneous to the popularity of Snapchat. These tools generally come as web-based services. In fact, a Snapchat generator is nothing but a fake Snapchat post creator. These Snapchat generator apps are solely designed for the purpose of having fun with friends who use Snapchat. Popular Snapchat generator sites such as Snapsr.com and generatestatus.com let you create fake Snapchat posts. Then, you can send them to anyone with the desired caption. Moreover, the Snapchat posts generated through a Snapchat generator comes with the expiry time. In other words, these messages get destructed after the configured time. As mentioned before, the sole purpose of using a Snapchat generator is to have some fun and do pranks. Snapchat has a special feature called “Discover”. This respective feature allows any subscriber to view the channels from various publishers. Unfortunately, most of these channels are filled with sexually teasing contents. Therefore, these channels are particularly popular among curious teens. It is true that Snapchat doesn’t encourage sharing explicit contents on their platform. However, these channels find a way to share some explicit content to their target crowd. What’s more, anyone can use the above-mentioned Snapchat generator and send inappropriate content to teens. Parents should be responsible enough to keep their kids from inappropriate contents shared over Snapchat. However, parents aren’t capable of looking at kid’s phone throughout the day. So, it can be difficult for any parent to protect their kids from potential dangers. But, that is not an excuse at all. As a responsible parent, you should find a way into your kid’s Snapchat account. This is exactly when you should consider using a tool to log into the Snapchat account. Yes, that sounds like hacking your kid’s Snapchat account. But, when it is done for the greater good and to protect the kid, even spying can be justifiable. So, if you are a parent, you should be looking for a good hacking app. How to find a good Snapchat hacking tool? Your kid can receive images through a Snapchat generator or through other social media apps. A good hacking tool must be powerful enough to get the password of the Snapchat account. Also, the hacking tool should not be visible to the target party. In other words, it should function in stealth mode on the target device. In addition to that, it must be convenient to use for the parent. You should consider all those aspects when you are searching for a Snapchat hacking tool. What is the best Snapchat hacking tool? The best option to hack your kid’s Snapchat account remotely is Spyzie. 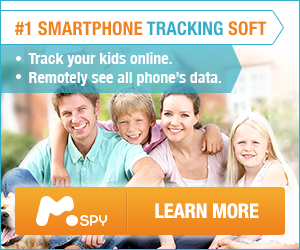 Spyzie is an exceptionally powerful but user-friendly mobile tracker that monitors all the activities related to a target phone. That is apart from acquiring the password of the target Snapchat account. Spyzie comes with a very friendly user-interface that can be used by any parent without any hassle. Moreover, Spyzie can monitor all the apps installed on the target device. For instance, it can hack Facebook online, monitor WhatsApp, call logs, sent and received messages, saved images and videos, etc. More importantly, Spyzie comes with a strong keylogger to capture all the passwords typed in the target device. In other words, after installing Spyzie on the target device, you can acquire all the information related to it. Well, that is what you must know about Snapchat, Snapchat generator, and Snapchat hacking tools as a parent. We strongly encourage you to use this best WhatsApp tracker tool as a parental control tool only despite its other capabilities.